You know C.W. McCall’s “Convoy,” and probably Red Sovine’s “Teddy Bear.” You’ve seen Smokey and the Bandit 1-3 and purchased BJ and the Bear: The Complete Series on DVD. But you haven’t really experienced seventies C.B. 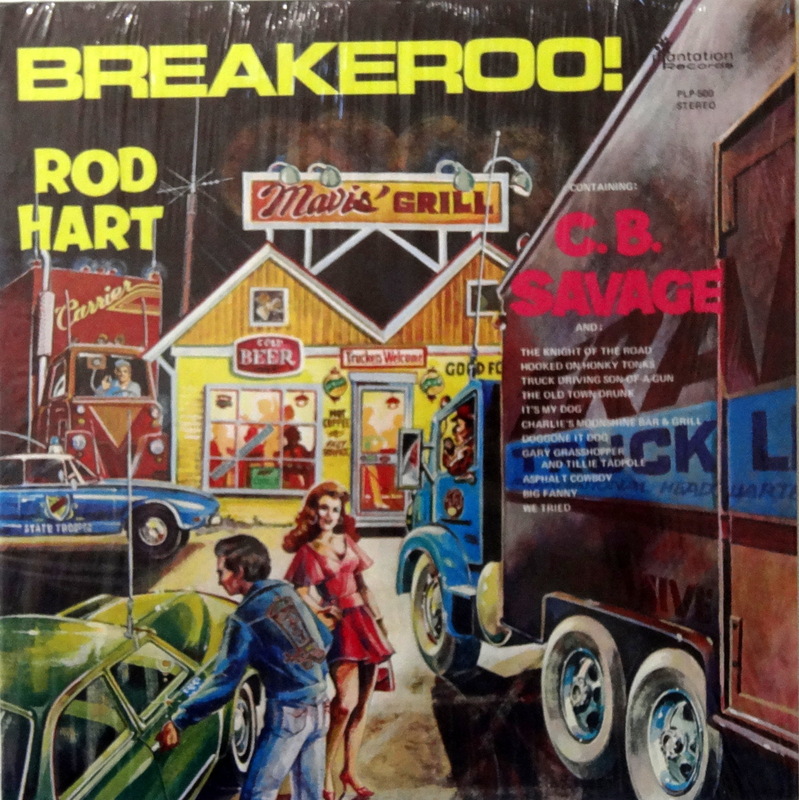 weirdness until you’ve heard Rod Hart’s story of a gay convoy sting. And that album cover is jut as bad, so for every reason that I can possibly think of, please welcome Breakeroo! to the Bad Album Cover Hall Of Fame. And a great plot for Smokey and the Bandit 4. Yeahhh…..there is an awful lot going on in that tune, I think? Where DO you find these gems? Sometimes I worry you going so far into the forest alone, son. You may be right. It might be a long walk back with only Rod Hart to keep me company.